Although wireless charging of mobile devices hasn’t yet become mainstream in the home or office, it could be on the road. 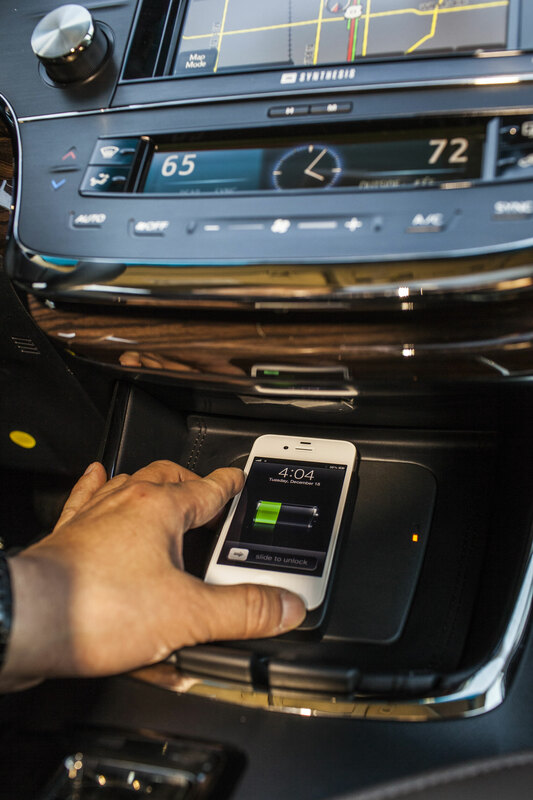 The 2013 Avalon(s tm) Limited model is the first car to natively support this: Toyota is adding a wireless charging pad in the car as part of a technology package. With the option, drivers and passengers can place a supported phone on the small console pad for a recharge during travel. Phones that support the Qi wireless charging standard can be used with the pad. Nearly three dozen such phones exist, including the Google(s goog) Nexus 4, Nokia(s nok) Lumia 920, and HTC Windows Phone 8X(s msft). Third-party manufacturers, such as Energizer, make Qi-enabled sleeves for Apple’s iPhone(s aapl), which would work as well with this charging pad. While I’ve heard some valid comments that Qi-enabled wireless chargers aren’t truly wireless — since the pad itself has to be plugged in — placing this technology in an automobile simply makes sense. There is no pad to plug in as the wireless charging surface is integrated into the vehicle and draws off the car’s power. And as someone who has more charging cords, cables and adapters in the car now, I’d love to see other auto makers follow Toyota’s lead here by integrating a standards-based wireless charger in a car. These comments are *not* valid. The charging is wireless, not the source of power. Quoted by an actual Avalon owner. Awesome! I was shocked to see how long something like this would take for auto manufacturers to start implementing. Sweet!